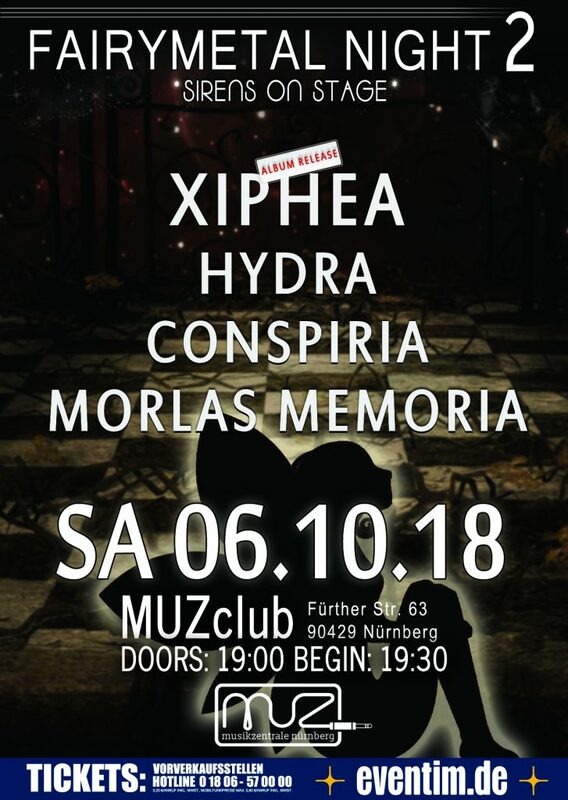 Don´t forget Xiphea´s release show party on 6 October at MUZ Club Nuremberg. Tickets are still available. It will be a blast with great bands lining up. Join our little party with music by Xiphea, Hydra, Conspiria and Morlas Memoria. Four great female lead vocalists anda bunch of heavy guitars and riffs. You all are welcome.